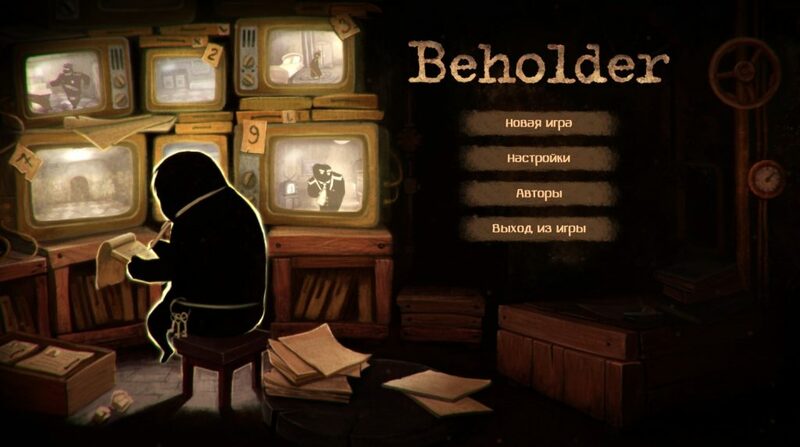 Beholder is a 2D anti-utopia made by Warm Lamp Games, which will make your evening not exactly warm and kind. Cruel, punishing world will break into your head bury you under many problems and options to chose. As you already understand, every decision has its consequences. 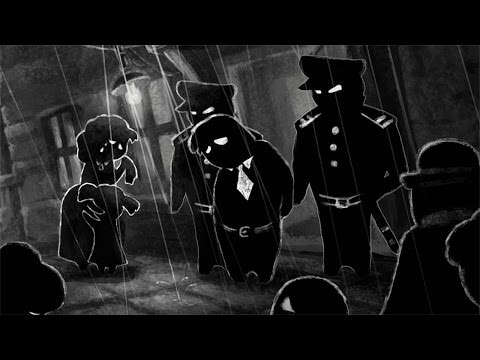 We’ve seen many of such games recently – This is the Police, This War of Mine, Papers, please. An absoute world of totalitarism. If something’s not fobidden yet, it will be soon. Don’t like it? Have goy something to say? We’re out for you, rebel. We’re going upstairs. And the staff here is not just to scare you. And as you are being dragged to the car in sight of dozens of people, you think “which of you, my friends, set me up?” Here lives a good fellow citizen Carl Stein, who got the opportunity to become a manager in a D-class house. 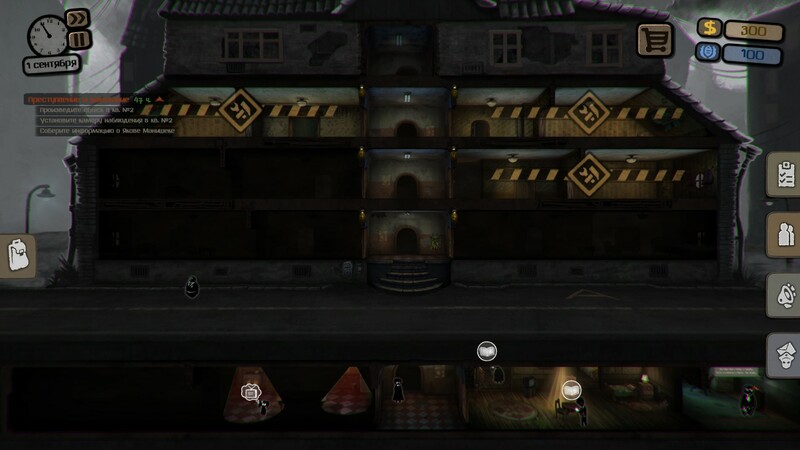 Three room appartment instead of the previous lair! A TV! Son is finally able to go to the university, wife is fine. But coming home we see our precestor getting beaten up by apporpriate services. Our chief Bruno Hempf explains that this one couldn’t do easiest tasks, thus he was ruining his job on purpose. Next we face our obligations: go to you room for surveliance cameras and set them in the kitchen. Our boss explains that our job is to watch everything. The phone ringing needs to be answered and death is not an excuse. By the way, you have been experimentally injected with something, that will free you from sleep. You don’t need that. In the house we have 6 flats for living (watching) and a basement. Few of them need to be repaired before you let people live there. At first we have three rooms, where other fellow citizens live. 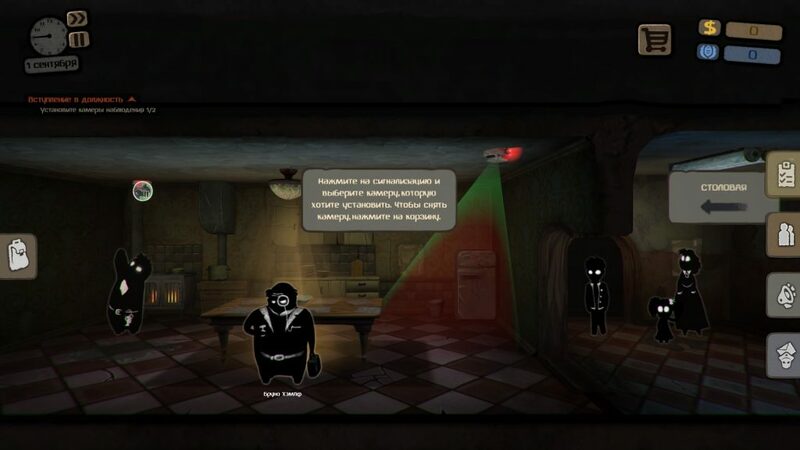 You just keep running from door to door with your keys, sneak in and set up cameras, which you can buy for authority points, that you get for completeing objectives or finding information about some objects. Don’t rush to stuff your appartment up with all kinds of useless junk. I made a crucial mistake, when bought a book I can’t read and a whiskey I can’t drink. And money is one of the most important things in your life. An hour later we bend over backwards and snap, trying to get an enormous amount of money, or you will be in shortage of familiy members. Where is my money, Dude!? That’s kind of question you keep asking yourself running up and down the stairs. Warm Lamps are already making an easy mode. Controls are plain, though need to get used to. You can play with one hand and hold a sandwich in the other. But you can always control the camera via WASD keys. UI is plain – the right side of the screen has a journal with 4 statements. 1. Objectives. Available ones with rewards for their achievement. 2. Dossier. With all people in your house. 3. Directives. The list forbiden actions. 4. Cases. Reports and charachteristics. In the left part of the screenwe have an inventory with all our belongings, that will find their use with time. Good background music and drawing makes the atmosphere even more intense. Of course there are weak points. With time, surveliance becomes a rutine, so if you enter the game waiting for becoming a part of a system, a fellow citizen, it will disappoint you. You’ll fail. Although, trying to scream that “we will not obey” can turn into even more dramatic failure. The disappointment came to us due to high expectations. We’ve been waiting for a chance to support totalitarism. The game is good, though. Not what we expected, but nevertheless. 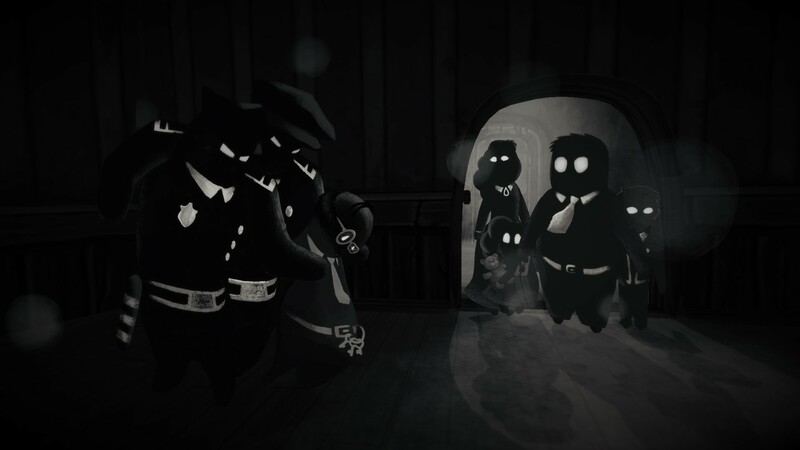 Let’s say, it’s more of This is the Police with all its balance between the corruption and honesty, than pure Papers, please.